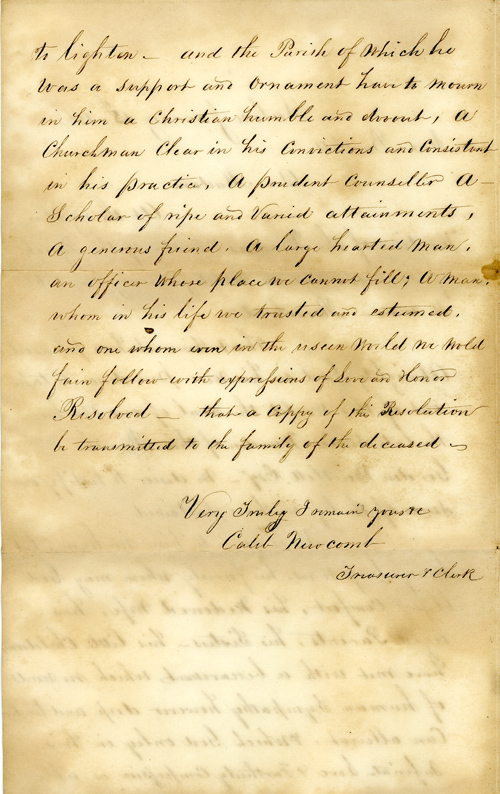 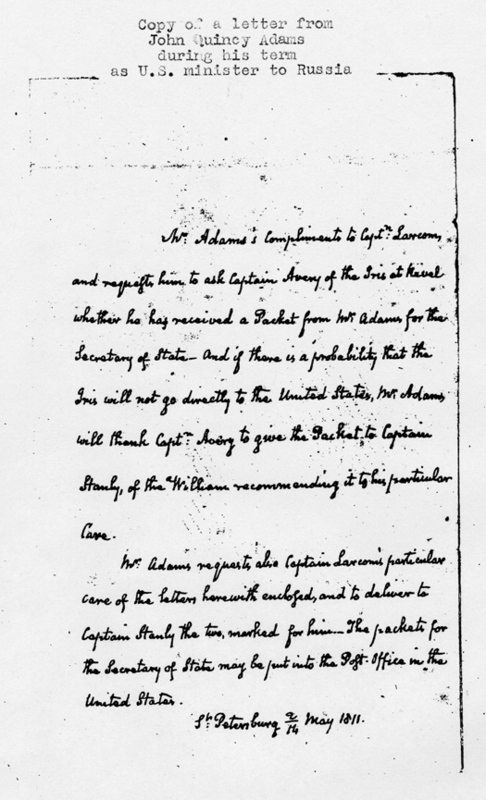 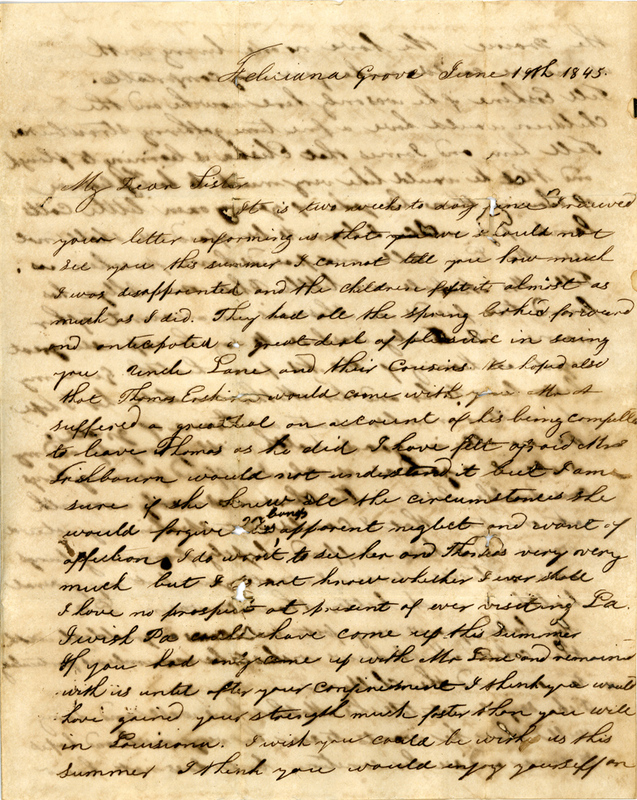 A letter written by John Quincy Adams during his term as U.S. Minister to Russia sending compliments to Captain Benjamin Larcom (Lucy Larcom’s father). 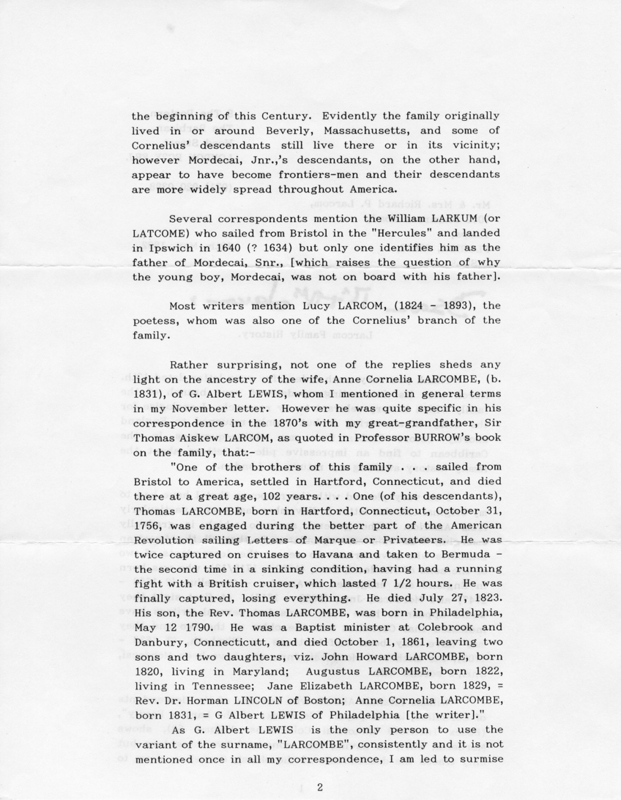 Courtesy of the Beverly Historical Society in Beverly, Mass. 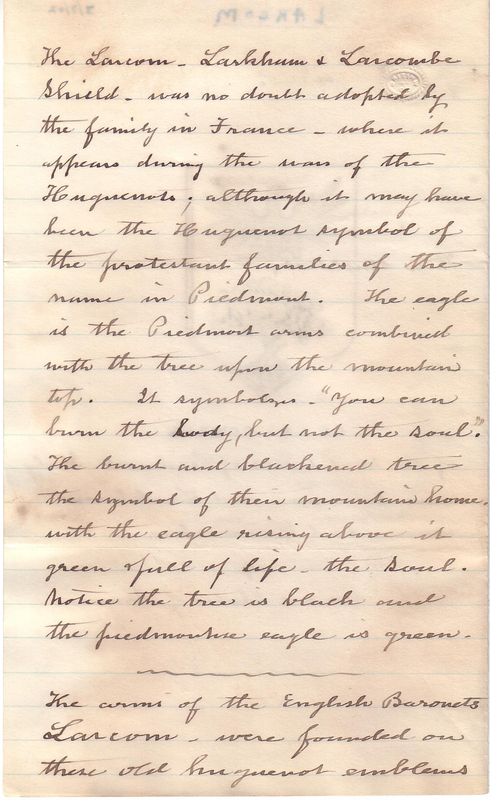 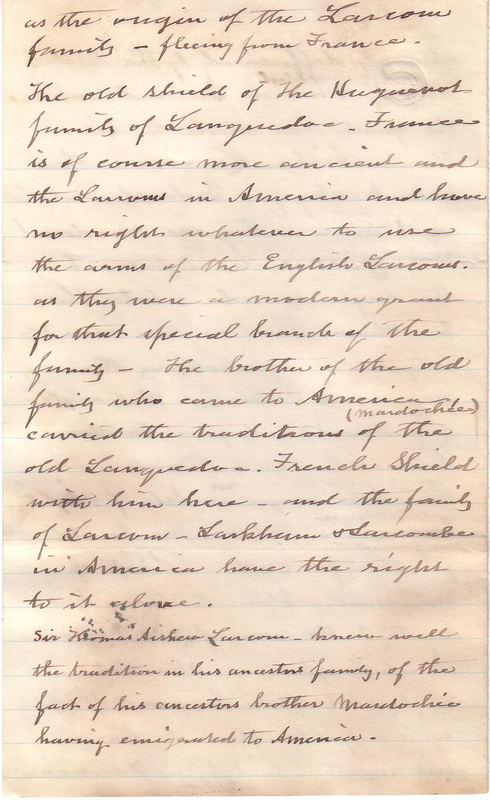 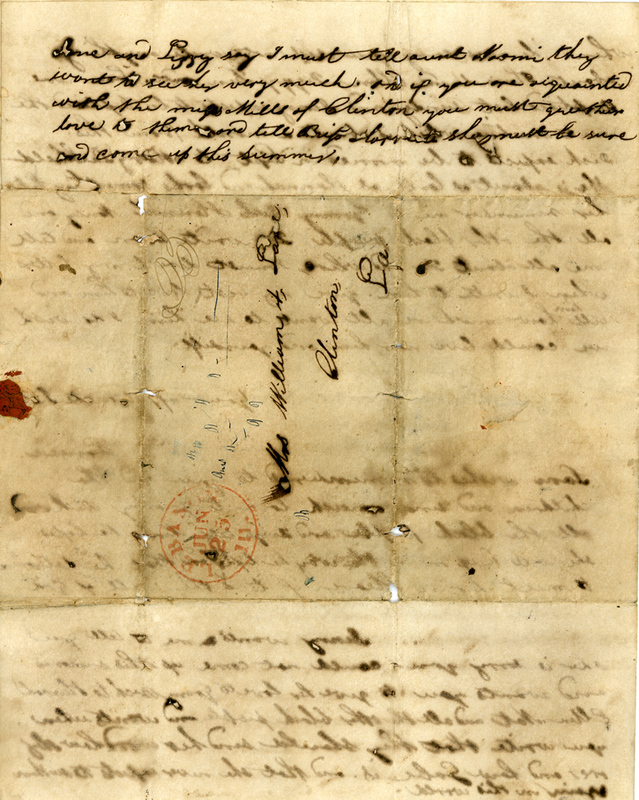 A letter that was handed down to me, written by my 3rd great-grandmother, Louisa Tyson Andrews in Illinois to her sister Naomi Ann Tyson Lane in Clinton, Louisiana. 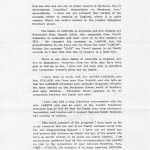 This letter has also been handed down to me. 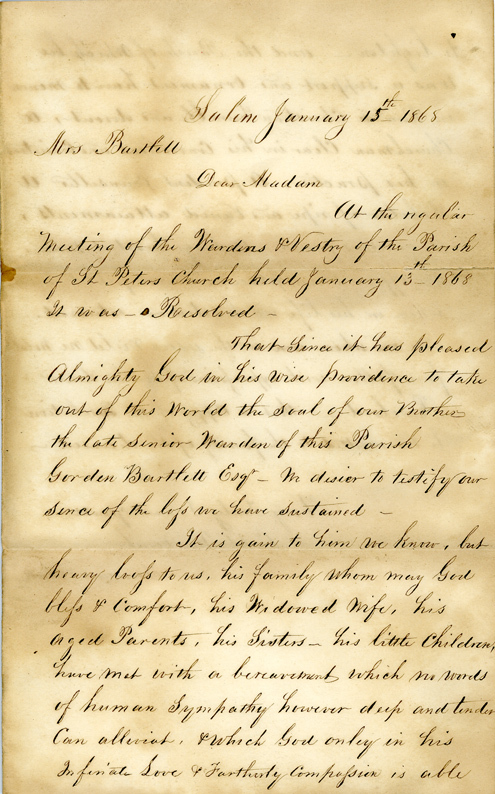 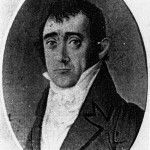 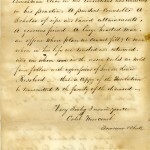 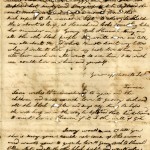 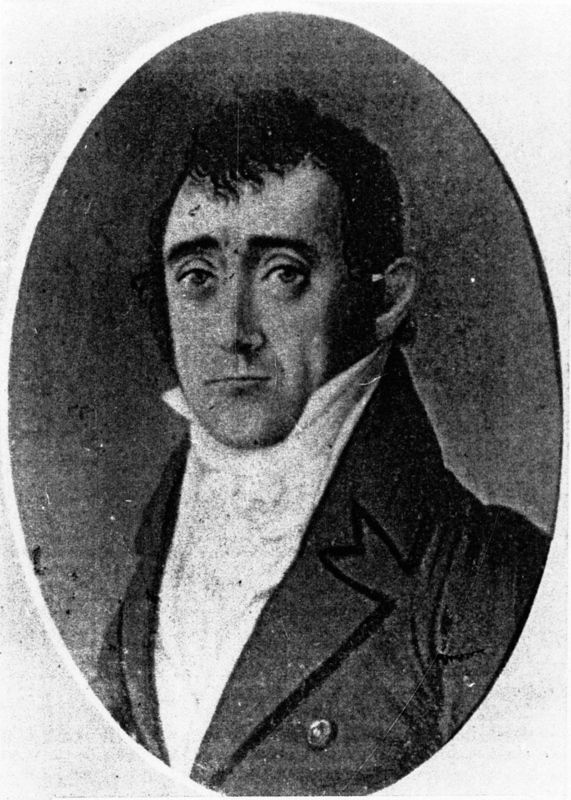 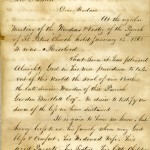 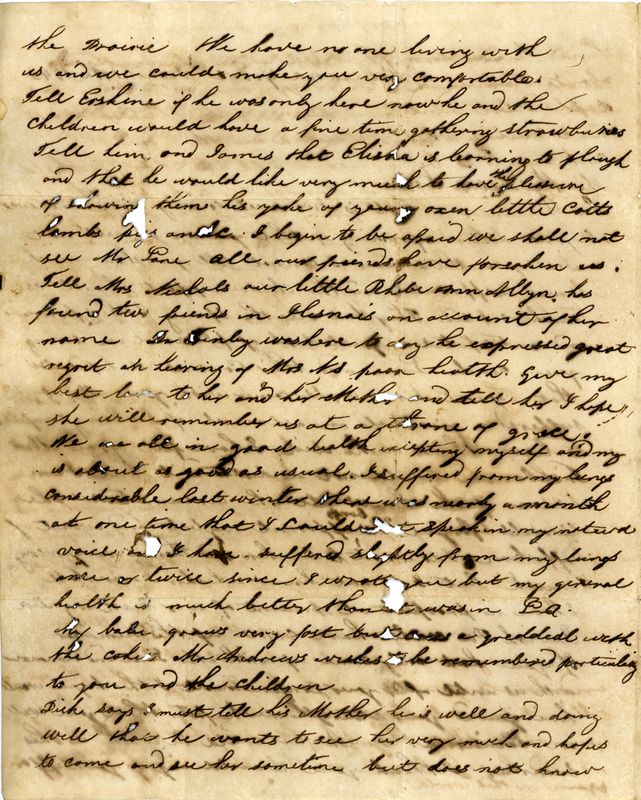 It is written to Louisa Bartlett’s mother, Mary Eliza Andrews Bartlett, as a bereavement concerning the death of her husband, Gordon Bartlett, Esq., who was the senior warden of the Parish of St. Peters Church in Salem, Massachusetts. 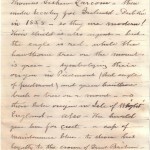 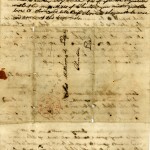 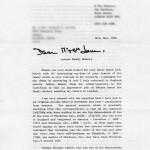 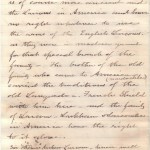 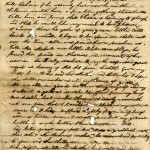 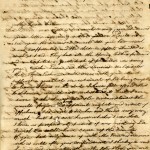 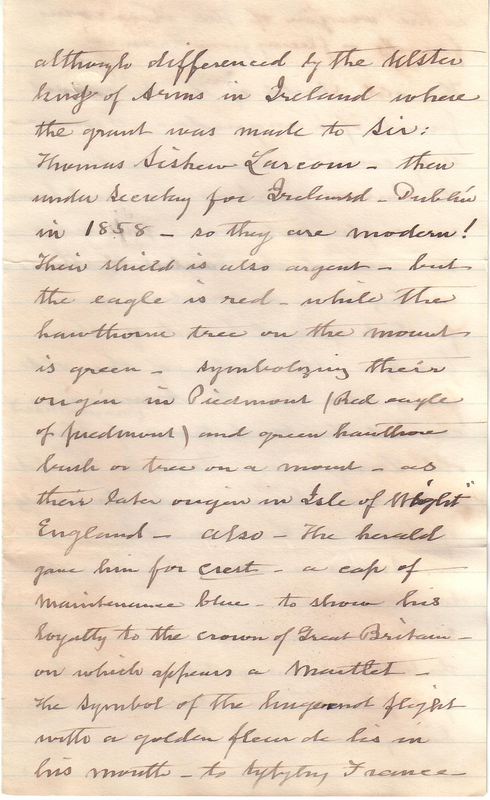 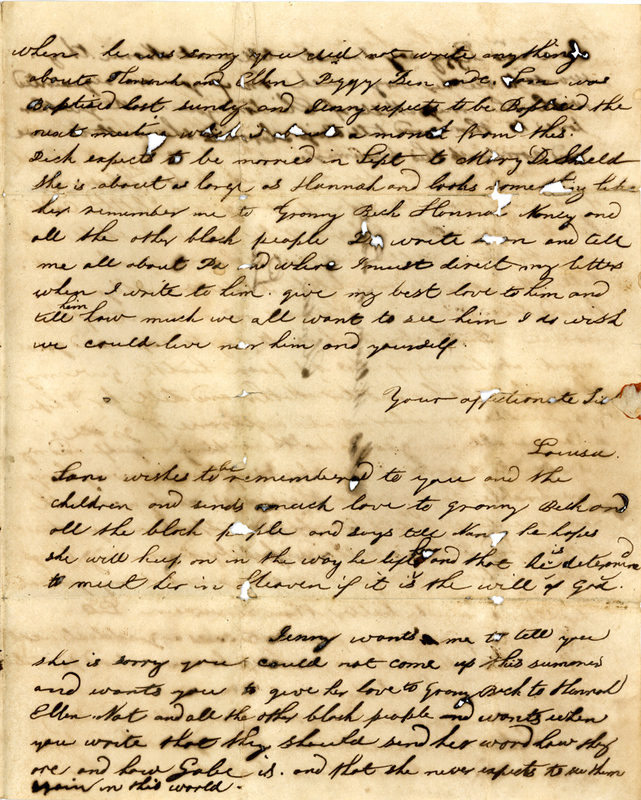 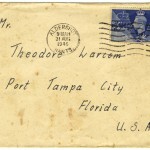 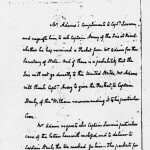 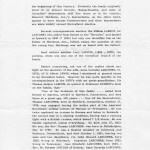 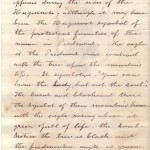 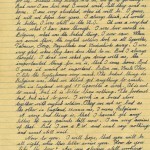 Letter from Gilbert Philips t0 William F. Abbot – This is a letter that was e-mailed to me by a great friend and distant cousin, Quincy S. Abbot. 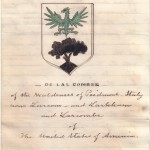 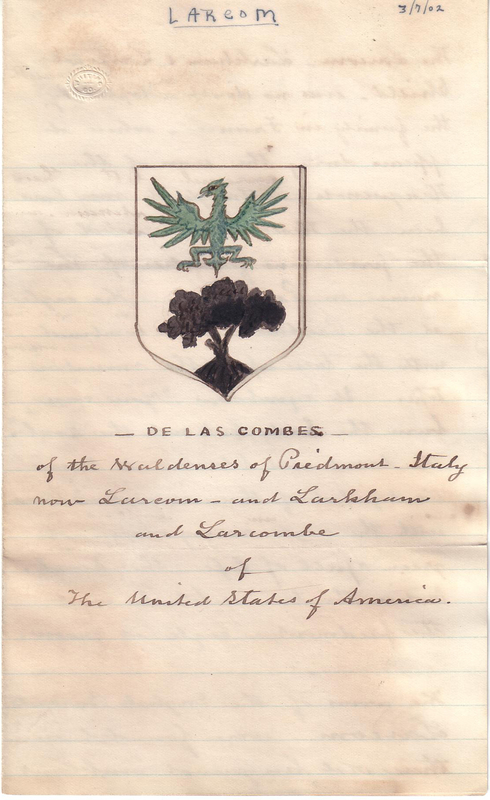 It describes in great detail the Larcom Family Shield, what it means, and why we have it. 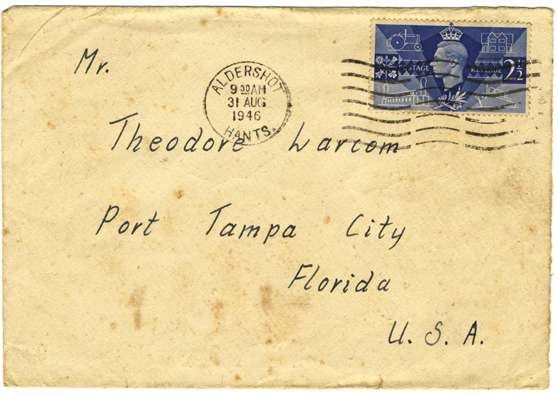 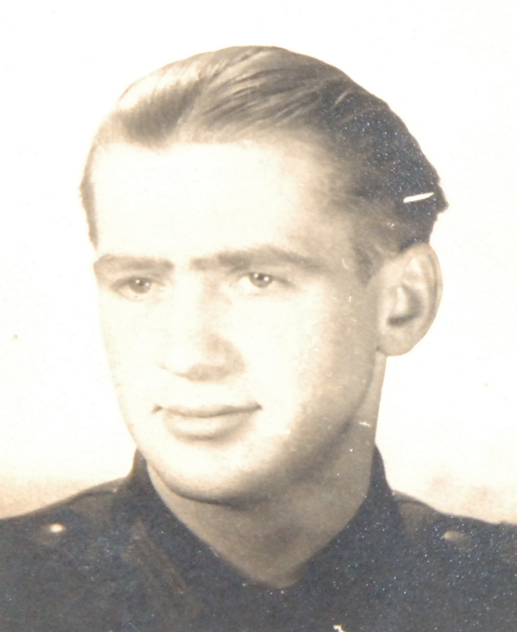 During World War II, my great-grandfather, Theodore Larcom, worked at MacDill Air Force base with German prisoners of war (POW’s). 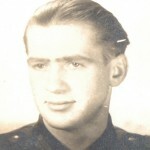 Theodore taught a group of them carpentry skills, and became very close to one young man in particular. 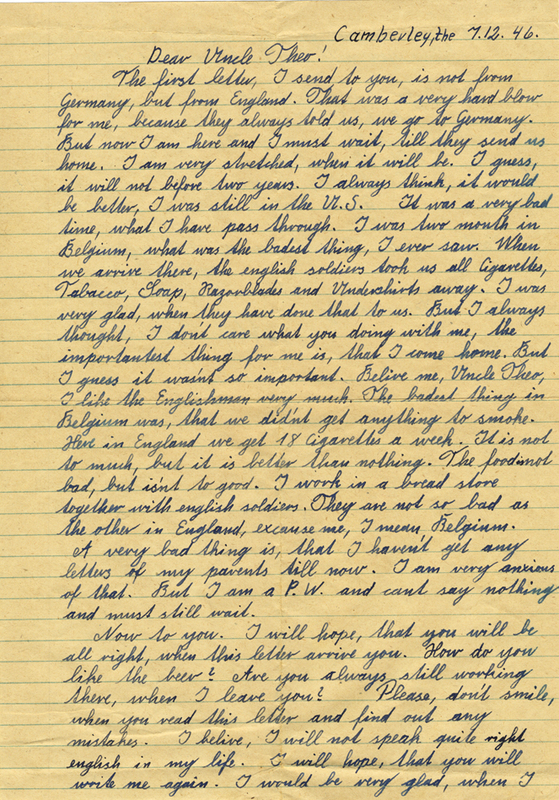 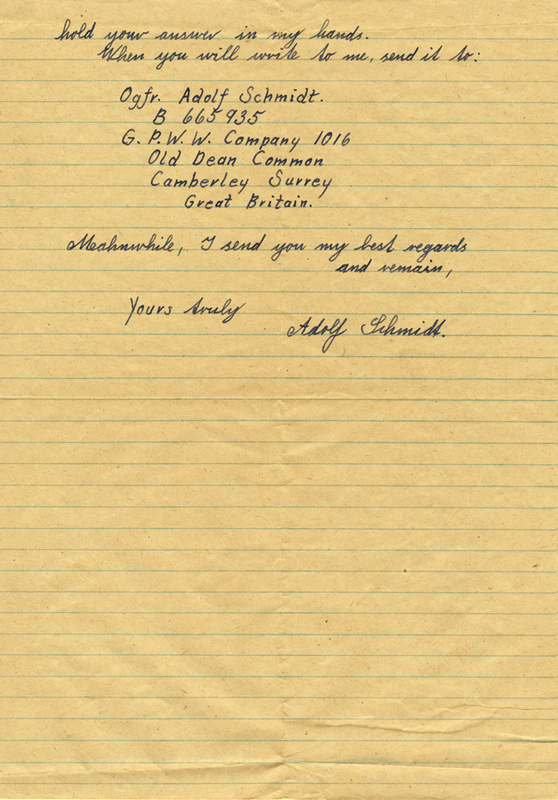 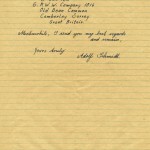 This letter is from the young man he befriended, named Adolf Schmidt. 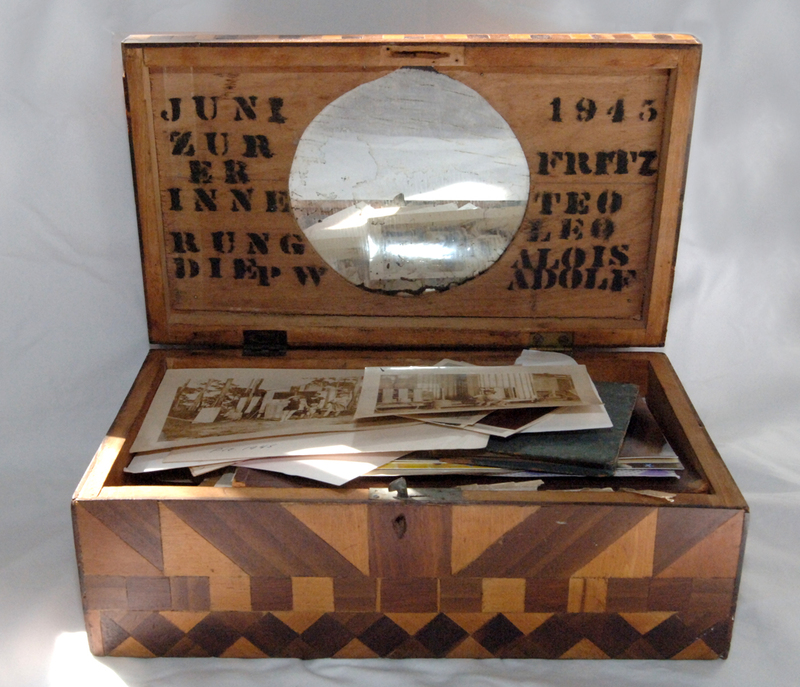 Adolf called my great-grandfather “Uncle Theo” and used his new carpentry skills during his captivity to build a beautiful wooden box with different types of wooden inlay and a mirror inside for my great-aunt Mary Lou Larcom. 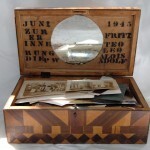 See the box here. 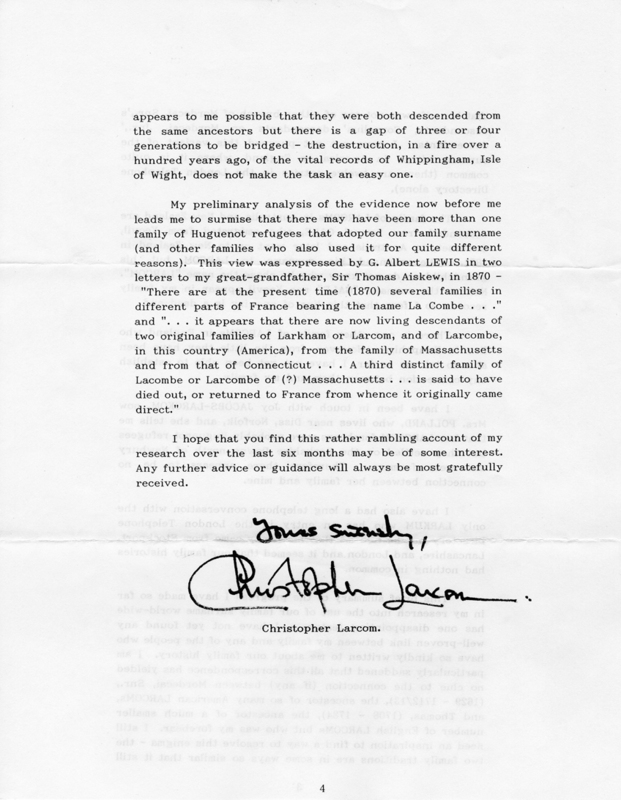 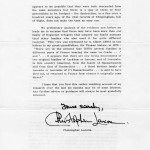 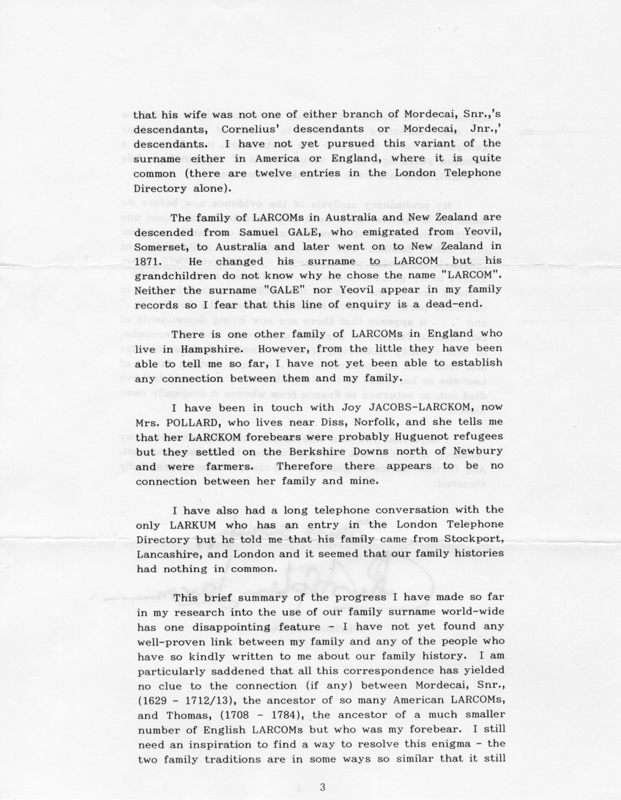 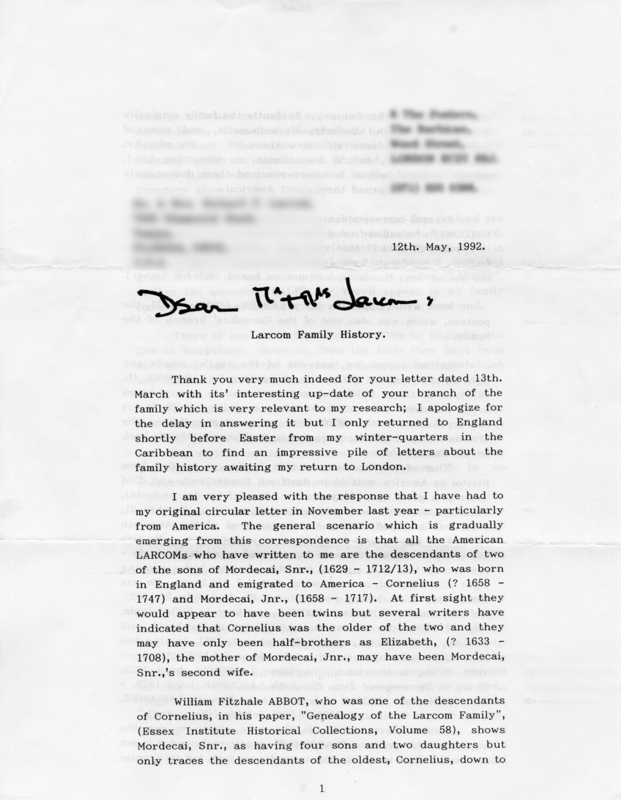 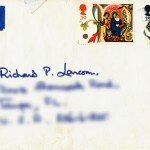 This is a letter from Sir Christopher Larcom in London to my Uncle Richard Paul Larcom, inquiring about some details in our family history.